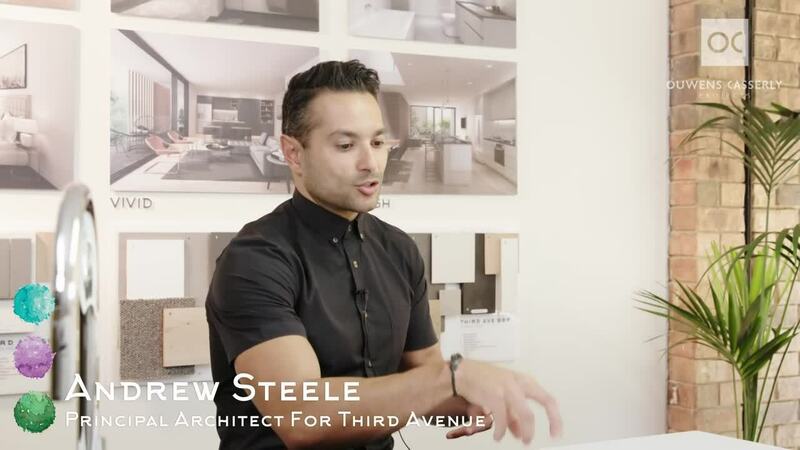 Learn more about each individual residence’s unique vistas, views and aspects on the Third Avenue site. Watch the video below to discover more. And that creates a series that every townhouse has got a slightly different view with a slightly different aspect, but also by the radial splaying of those townhouses, when you entering to the site, you get this beautiful view what the architecture is doing, and that then hugs the creation of the central open green space as well, which all of the occupants can share.